My name is Rob and I’m a mermaid denier. To me, the idea of a creature who is half-woman, half-fish, is ridiculous. She would smell! And why are they always top-half human? Why not fish-head and human legs? Why do they always sit on a rock, combing their hair and gazing into a mirror? Like they’re taking a selfie? The entire mermaid concept is daft. So why is the mermaid image still stuck in our heads? We have cool superheroes now, like Ironman, Hulk and Black Panther – and not just men, who doesn’t want to be Wonder Woman? The Little Mermaid has no powers, she just flaps around dreaming of a Prince. It’s hardly an advert for Girl Power. Let’s face it, mermaids don’t exist. It’s a dugong, a fat seal with a big nose. Some drunken sailor saw one and mistook it for a woman. He should have gone to Specsavers. But in that moment, an urban myth was born. Because that’s all it is, a myth. No proof, no evidence, no nothing. You examine any so-called mermaid exhibit in a 21st century lab and what do you find? A shrunken head stuck on a kipper. So let me ask you again, why is the image still stuck in our head? Perhaps it’s because most of our body is made up of water? Or like all folk tales, it’s a story rooted in fear. Because we are frightened of The Other. The Strange. The Unknown. Frightened and intrigued. If you live in Buxton and there’s a storm coming, they let you know on the telly. But in the olden days, when hairy-people saw dark clouds on the horizon, they thought it was a curse. The fish-god was in a bad mood so was going to pelt them with rain. They genuinely thought that if they sacrificed a granny, the flood could be stopped. Thankfully, now we have apps, so can plan alternative routes. But the primal fear remains. No matter how smart we get, there is always stuff we don’t know and that makes us curious. We are fascinated by weirdness. Look at The Buxton Museum, the entire building is jam-packed with weird stuff that is totally brilliant, some it millions of years old. That is Pre-Ed Sheeran. As humans, we are inherently curious. Look at babies. If they find a little disc, they want to know what it is. Is it a weapon? A toy? Or a Mini-Oreo? Because as any baby will tell you, if it’s not a threat, it’s food. It’s how we learn, by looking at weird stuff. It’s why Museums are important. I’m one of the artists who has been commissioned to ‘bring an exhibit to life’. I love that. What I’m going to do is this: spend the next few months looking at mermaids and let you know how it goes. I’m going to start with the Buxton Mermaid because she is, without doubt, the best (and I’m guessing only) ‘shrunken head stuck on a kipper’ in the whole Peak District. And the Peak District is massive! So even though she’s ‘fake news’, I am still obsessed with that creature, because she’s not just a spooky doll, she’s the gateway to a thousand crazy stories and over the next few months, I’m going to haul ‘em up from the deep. I’m going to photograph a mermaid, not a real-one, obviously, a synchronised swimmer at Sharley Park Leisure Centre (Is it still synchronised swimming if you’re doing it on your own?). One of their brilliant swimmers is going to put on a fish tail, then we’ll turn off the lights off and try to create something spooky. I can’t wait. For a land locked region, the Peak District has a surprising amount of ‘mermaid pools’ like Blake Mere where legend has it, a mermaid still lives. I’ll be trekking around the Peaks in search of stories, inspiration and evidence (like that’s going to happen). I’ll also be finding out whether having a sailor-scoffing-siren in your back garden pond has any effect on your house price. I’ll be finding out what modern-day mermaids might look like? What issues might they face? Does having a non-conventional body mean a mermaid qualifies for disability benefit? Is she half way through transitioning or an immigrant of no fixed abode? How do each of these groups relate to being viewed as ‘The Other’ when the truth is, we are all equal. My plan is to celebrate diversity using the mermaid as cipher. I’ll be hosting storytelling workshops, so you can write stories of your own. If you don’t write, or can’t write, that is not an issue. Workshops for schools, groups, adults, fish… everyone is welcome. I’ll also be writing a story of my own, a dark one, about a boy who lives in Buxton and a girl who lives in a pool. What could possibly go wrong? And in all of the above, I’ll be working ‘out loud’ so you don’t just see the end result, you see how I got there. And why would I do that? To share my journey, so it’s not just me investigating the weird world of mermaids, it’s us. It’s been said that any portrait is a two-way dialogue between artist and sitter. We have, at Buxton Museum and Art Gallery, photographs of people as well as landscapes and fossils. One of these dates from the late 19th or early 20th century. It shows an elderly woman at her spinning wheel. A wicker basket sits on the floor beside her and a fireplace can be seen. Washing hangs from the ceiling. The nineteenth century was a time of contradictions. Of course, The Industrial Revolution swept the nation, but this created nostalgia for a supposedly simpler more stable way of life. Some would argue that we still feel the effects of this. People revived Medieval styles in art and crafts. Musicians collected folk songs and wrote them down for the first time. Painters depicted thatched cottages with roses round the doors. Returning to this woman at her spinning wheel, I wonder; did the photographer think he was recording an idyll? Did he imagine this lady as happy peasant? If so, then perhaps she didn’t share that perception. Agricultural work could be monotonous and physically demanding. The late Victorian era saw a depression in agriculture that drove people to the new industrial cities. Then again, perhaps I’m being too hard on the photographer. The woman isn’t smiling and she doesn’t meet his eye. Her attention is all on the job. Did photographer and subject understand each other? Or did they face one another across a social chasm? Hill is the story of one Derbyshire hill told in photography, film, sculpture, poetry and song. The hill featured in the exhibition rises north from Wirksworth. It is home to families, wildlife, farming, quarries, mine shafts and wind turbines. Buxton Museum and Art Gallery has worked with award-winning photographer Kate Bellis who has spent the last 20 years documenting the relationships between rural communities and the land around them. Kate’s images feature the working life of the hill; farming and quarrying, as well as images of the community that lives in the shelter of the hill. Alongside Kate’s photographs the exhibition features a full-sized dairy cow made from the materials of the hill itself, partly using Longcliffe Limestone, by acclaimed sculptor Sally Matthews. Kate and Sally’s work is complemented by a film from Wirksworth-based film-maker Gavin Repton, poetry by Lucy Peacock and a song by Carol Fieldhouse. Hill has already attracted a lot of attention from visitors, with one person commenting “I didn’t realise farmers worked so hard”. You can see this remarkable and diverse display for yourself until Wednesday 6 June and you can meet the artists on Saturday 24 March, Saturday 14 April and Saturday 12 May, 2-4pm. A book with accompanying DVD is on sale in the museum gift shop at £20.00. With the shortest day of the year upon us, this seems like a timely moment to share some wonderful winter images from the photographic archive at Buxton Museum and Art Gallery. These photographs are from the Board Collection. James Robert Board was born in Lancashire and later lived in Sheffield, where he may have first trained as a photographer. He was in Derby by 1922 and operating a photographic studio at 9 Cavendish Circus in Buxton from 1926 until the 1970s. His step-son John Meddins was also a photographer, whose work is well represented in the collection. Picture the Past has examples of Board and Meddins work from all over Derbyshire, which are available for purchase in a variety of formats. Wherever you are in the world, we send you warm wishes for a joyful festive season and a happy new year! A wonderful, diverse collection of subject matter and style. An excellent standard of work with exceptional originality. Amazing! It makes you want to be creative. Nice to see paintings other than landscapes. Lack of variations in scale and form; no video art? Not much sculpture? The Sculpture winner is a joke; come on judges! Some lovely pieces but giving prizes is highly subjective; part of our X-Factor culture. Overall low standard. Tenuous Derbyshire connection with some “artworks”. Disappointing. How could you choose such a revolting picture? 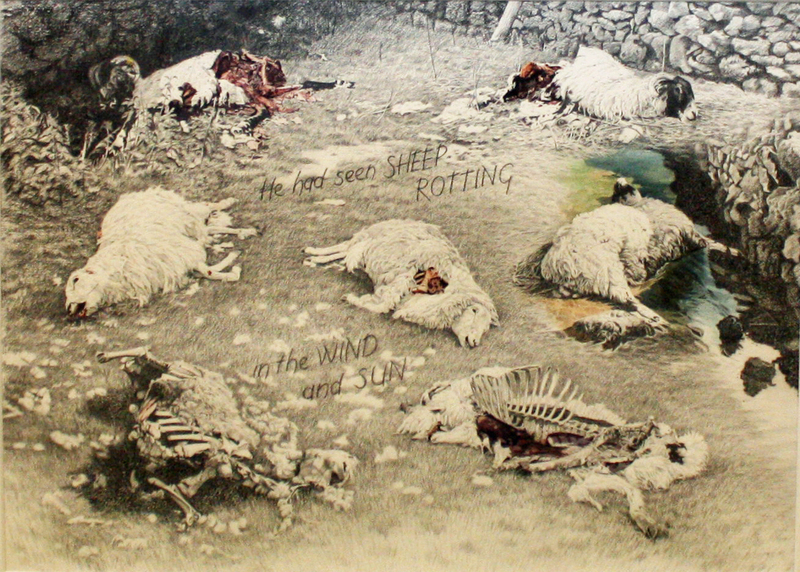 Rotting carcasses? The Derbyshire Open is a very popular event but not everyone agrees with the judges’ decisions; see my blog on the Visitor’s Choice. Some visitors have an axe to grind with the Derbyshire theme and I have written a blog about this too. If would like more general information on the competition, you can find it here. 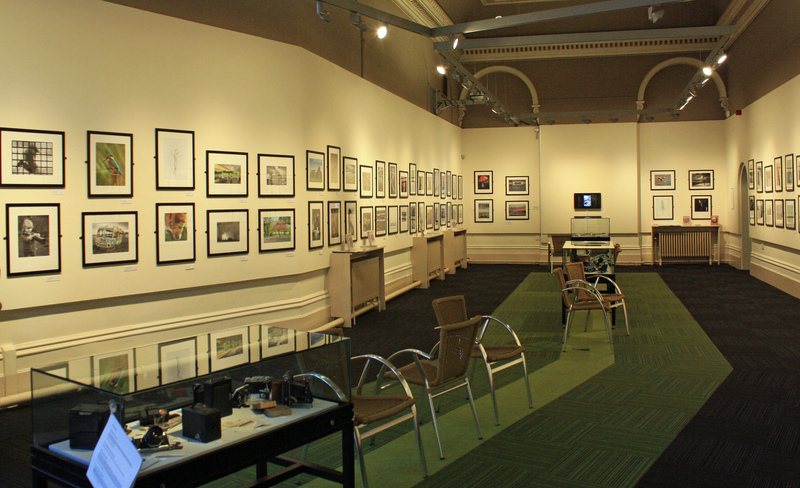 Replacing the Derbyshire Open is an exhibition by the Chapel Camera Club and you can see it until Saturday 22 November. 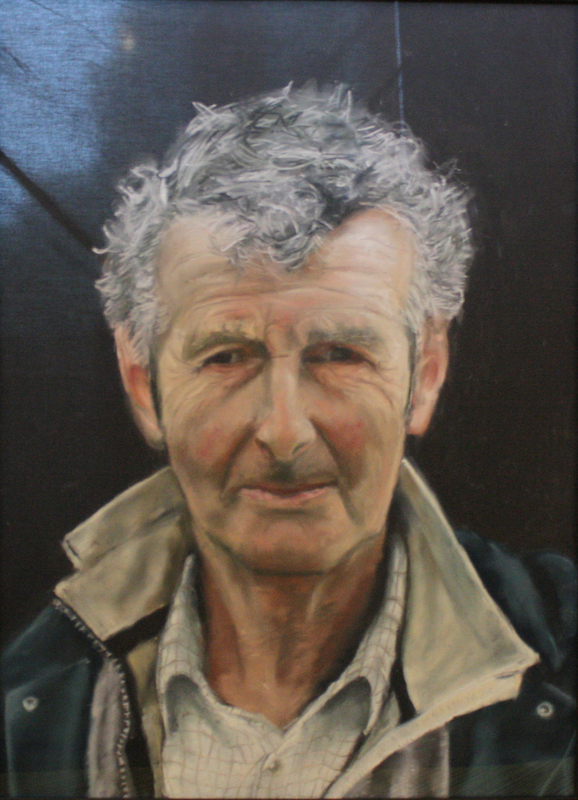 The group celebrate their thirtieth anniversary with an extensive and varied display of their work; there are landscapes, portraits, wildlife, documentary and “altered reality”. Members of the club have won both national and international awards and the standard is remarkable. If that wasn’t enough, the group are running a series of free photography workshops throughout the exhibition and you can find details here.